Script Lab : Hollywood’s #1 Horror Screenplay Contest – Deadline in 5 Days! ScreenCraft’s Horror screenplay competition is open for entries now – and the FINAL DEADLINE is in only 9 days! See our other genre contest entry dates and deadlines here. As one of the most successful genres for launching careers, horror has stood the test of time as a playful genre for innovation and new talent to succeed within low budget limitations. This year’s judges include producers and managers at the top of their game in the horror genre, with films to their credit including DONNIE DARKO, INSIDIOUS, SAW, GET OUT, THE PURGE and many more. 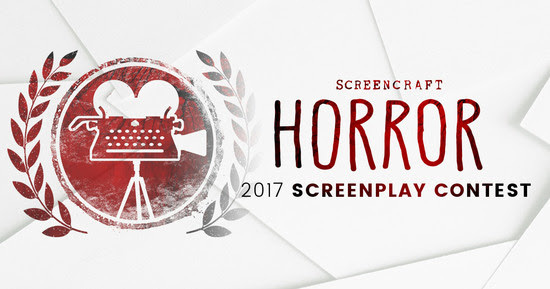 The 2017 ScreenCraft Horror Screenplay Contest is open for entries! Mark your calendar: the final deadline is July 1. Sean McKittrick, Film Producer at Darko Entertainment, and the producer of such films as DONNIE DARKO, PRIDE AND PREJUDICE AND ZOMBIESand Jordan Peele’s recent blockbuster GET OUT. Scott Henderson, Agent at Paradigm Talent Agency, representing iconic horror filmmaker James Wan who is behind such films as SAW, INSIDIOUS, THE CONJURING and LIGHTS OUT. Whether you’re writing a terrifying low-budget horror film or a huge horror-fantasy blockbuster, we want to read your script – and our jury has the experience and connections to bring it to the big screen! Will your script win? 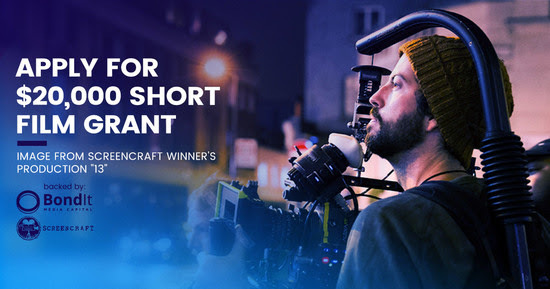 And if you’re writing an eligible short screenplay – don’t miss the upcoming deadline for our SHORT FILM FUND!